Brooklyn-based band/performance collective JD Samson + Men’s have unveiled ‘Next,” a quirky piece of electro pop that is the first single from their three song EP of the same name. Self-produced by the band with help from Jordan Lieb, who also produced their debut Talk About Body, the album is being released on the group’s label MEN Make Music and is available digitally via iTunes and Amazon. The EP is also available on tour as a 200 Limited Edition with handmade screen-printed sleeves. 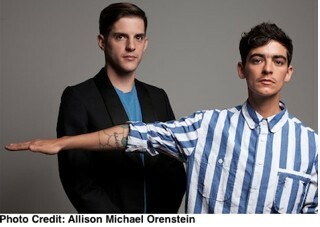 JD Samson + MEN will likely log plenty more studio time as they plan to release four EPs throughout the year. The second EP, entitled All The Way Thru, will feature production work by the band and XXXChange and is slated to come out in the spring. Listen to “Next,” which is available for download for one week, and view the group’s tour dates below.